Whether by assessments to measure a patient’s ability to exercise in Phase I or improving strength and endurance in Phase III, SCIFIT is the solution to help patients progress throughout their cardiac and pulmonary rehabilitation sessions. Clinicians rely on SCIFIT’s extensive line of rehabilitation equipment and programs to assist them in reducing the risk of future heart problems and improving the quality of life of their patients. SCIFIT equipment provides opportunities for people of all ages to stay active. Using our equipment and programs can help improve strength, balance, flexibility and endurance to make it easier to perform the activities of daily living. These improvements can also help prevent slips, trips and falls, and may help speed recovery from injuries. SCIFIT equipment is easy to use and features simple, familiar movements to improve functional health and promote independence. SCIFIT offers innovative strength and cardio workouts and program options not found on other equipment. SCIFIT equipment is reliable and durable to stand up to the most demanding environments. Our top quality equipment and programs meet the needs of everyone from old to young and from beginner to elite athlete.SCIFIT offers programs that help attract and retain members. The programs take the guesswork out of getting started and staying on track. They can be customized to fit individual goals and deliver results. SCIFIT’s programs can also track progress and are extremely time efficient. SCIFIT offers innovative products and programs that give athletes a competitive advantage. Whether they are training for that next big event or recovering from an injury, all athletes benefit from our unique Iso-Strength program and SCIFIT’s broad wattage range. Our Fit-Key system allows trainers to monitor, manage, and maintain the performance of their athletes. 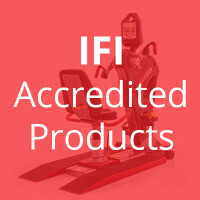 SCIFIT equipment and programs are a staple for the most elite training centers.